Remembered for his iconic portrayal of Captain Von Trapp in the 1965 movie The Sound of Music, the extremely talented Christopher Plummer was born as Arthur Christopher Orme Plummer in Toronto, Ontario, on December 13, 1929 to parents Isabella Mary and John Orme Plummer. Chris, as he was called by his family, was an only child. His mother had great appreciation for arts and Chris often accompanied her to several plays and performances from an early age. He was made to study the piano and later, he classically trained as a stage actor. Plummer’s stage career began in 1954 when Eva Le Gallienne, English producer and director, gave him his first stage role in The Starcross Story. The show did not meet with much success but it landed him more stage roles and eventually, he headlined for the Britain’s National Theatre and Royal Shakespeare Company. He concentrated on TV and theatre throughout the 1950s however, his big break in the film industry came when he signed up for the cult movie The Sound of Music in 1965. The film was a huge commercial success and it did wonders for Christopher’s career as his portrayal of Von Trapp won the hearts of millions. However, Christopher himself was not too proud of his role in the film, as he wrote in his memoir In Spite of Myself, he felt that had been “spoiled by too many great theatre roles”. After that, his career took off and he was awarded his first Tony Award for the lead role in Cyrano. Plummer also received his first Emmy Award for the miniseries The Moneychangers. He was seen in several highly acclaimed movies such as The Return of the Pink Panther (1975) The Man Who Would Be King (1975) and International Velvet (1978) among many others. Plummer explored various acting opportunities, returning to his love of theatre every now and then, he appeared in legendary plays such as Macbeth and Othello, always playing the lead roles. He felt more comfortable and in control on stage in a theatre as he failed to connect with the cameras on the big screen. However, Plummer’s most gripping and intoxicating performances on the big screen came when he appeared in roles such as Mike Wallace in The Insider (1999), as Leo Tolstoy in The Last Station (2009), A Beautiful Mind (2001), and Cold Creek Manor (2003) among others. He was nominated as a best actor in a supporting role. 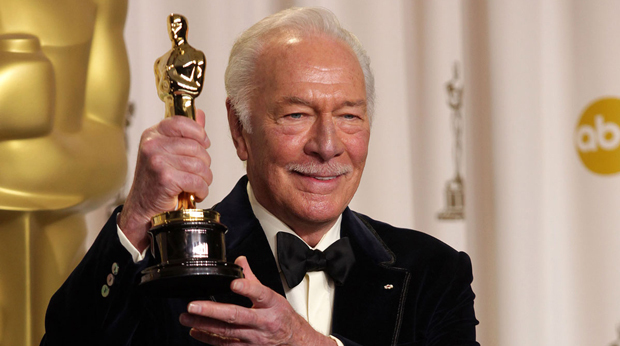 Christopher Plummer’s fame continued to grow and he is, to this day, one of the most sought after actors in Hollywood. He explored and experimented various diverse roles and characters by acting in films ranging from action to romance and even drama, such as National Treasure (2004), Must Love Dogs (2005) and Syriana (2005). Meanwhile, he always time to take up stage roles honoring his love for theatre, in 2004, he appeared on Broadway in Shakespeare’s King Lear and later in 2007, Inherit the Wind. Plummer was nominated for the Tony Award for both these roles. He even ventured into animation and voiced several iconic characters in movies such as Up (2009). Despite his being one of the most honored and respected actors, Plummer did not receive an Academy Award until his performance in Beginners (2011). At eighty years of age, Christopher Plummer has no intention of retiring from the big screen and continues to entertain viewers with recent films like Elsa & Fred (2014) and Danny Collins (2015).